The Field Bed is a modern take on the army cot. Made of solid Canadian white ash, the frame is then whitewashed and topped with an overstuffed wool upholstered cushion. 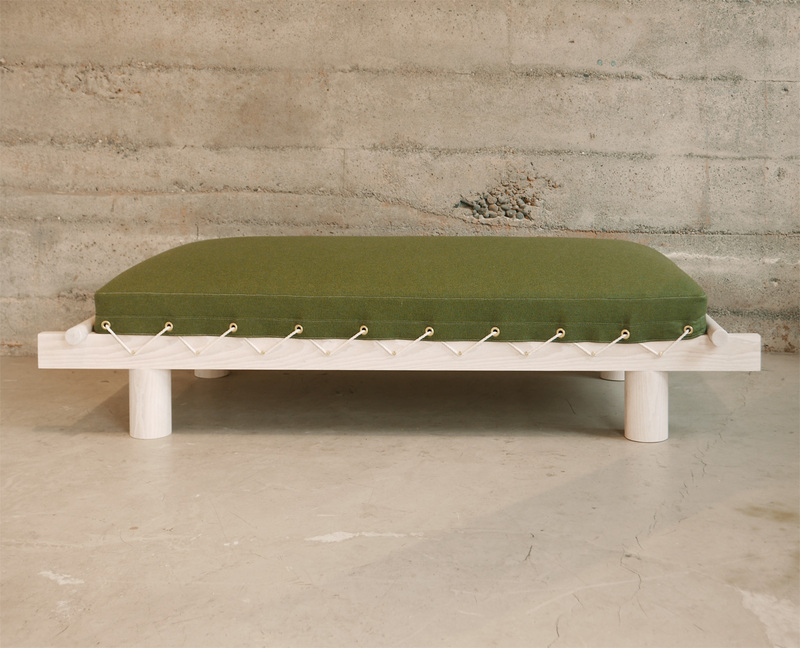 This day bed's cushion is then lashed to the frame with natural rope and secured around brass pegs. Solid Canadian white ash, cotton rope, brass hardware and wool upholstery.